Typically the seeds of lovage, a wild type of celery, celery seed has a strong, somewhat bitter flavor and carries the familiar celery aroma. Celery seed is featured in many savory baked goods, including breads and cheese biscuits. It's also used in pickling, and soups and other savory dishes, particularly those which feature eggs or fish. Use a light hand with celery seed, which can easily overpower a dish. 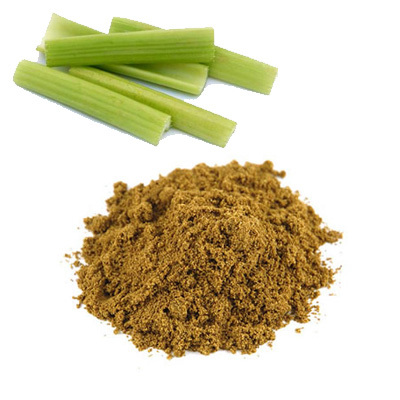 The common celery salt and celery pepper are made by grinding celery seeds with either salt or pepper. Make your own in a blender or grinder, using a high salt or pepper to celery seed ratio. Uses: soups, baking, sausage making, slaw, potato salad, pickles, meat spreads.